In a bid to provide grater satisfaction to customers the state run major BSNL has now brought out a new service wherein customers will get the Operator Settings in a just a flick of a mouse yes they have made the service more flexible. 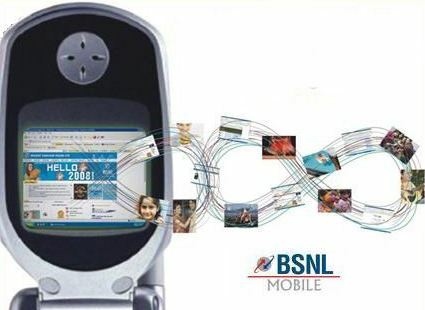 Customers can directly log in to the BSNL website, put in their mobile numbers and within minutes the settings will be delivered to their phones. Unline other operator where each time when a customer gets a new phone they had to key in a specified keyword and had to send them to a special short code and there was no assurity when the settings would be delivered. BSNL promises to go an one step ahead in faster delivery of operator settings. Here you can manage CellOne menu items of your SIM through Web. this service is available from long back… but the fate is that now bsnl is not having gprs in my area i think…. my phone is not getting connected now…. i tried with 3 different bsnl sims at ma home which is gprs activated…. now i am using idea in kerala of 97rs pack… happy with there service with speeds ranging from 6kB/s to 32kB/s…. Its much simple with other operators, the moment you put the sim in GPRS/3G enabled mobile, settings are downloaded automatically within 5 mts. Vodafone mumbai has made it even simple by preconfiguring prepaid/postpaid sims with GPRS/MMS settings. You don’t need to even download the same.